Think of what to give? Give the pleasure of choice in shops PODIUM. Gift Card PODIUM - the best and most fashionable gift! Your loved ones, friends or colleagues can choose a gift of more than 50 brands of clothes, shoes and accessories from the world's leading designers presented in store PODIUM. 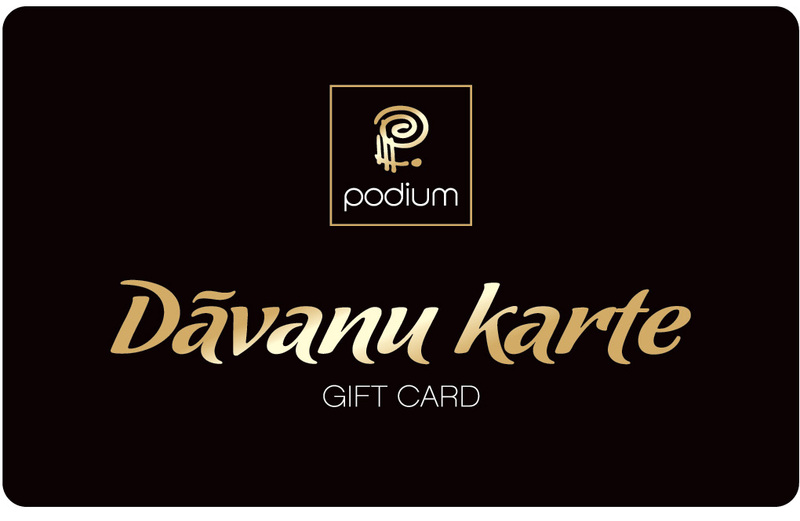 We offer a range of Gift cards PODIUM with a unique design, rated EUR 50 to 200. In case of loss of the gift card can not be restored. If the card is damaged, please contact the store PODIUM, Brivibas bulv. 21, Riga, LV-1039, tel. : +371 67165551, e-mail: info@podium.lv.